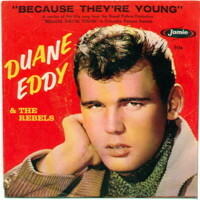 Duane Eddy's Jamie Records version of Because They're Young was not the version used in the movie, but that didn't stop it from becoming his biggest hit ever, reaching #4 on the Billboard singles chart and #2 on the UK chart in 1960. 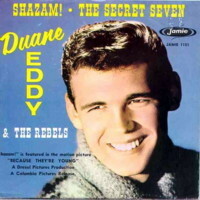 Duane did guest star in the movie and performed Shazam, which had modest success in the US reaching #45, and it did even better in the UK soaring to #4. 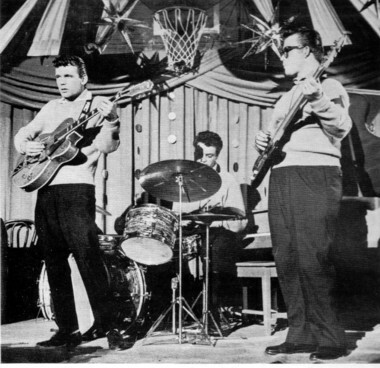 It was also covered by England's own popular instrumental group The Shadows. 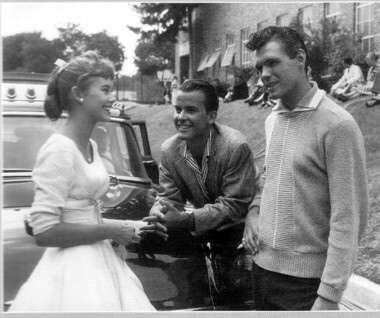 Taking a break on the set of Because They're Young. The title theme music was written by Don Costa and conducted by John Williams. 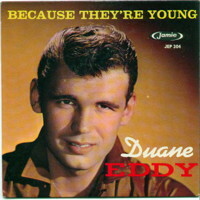 The lyrics were written by Aaron Schroder and Wally Gold. 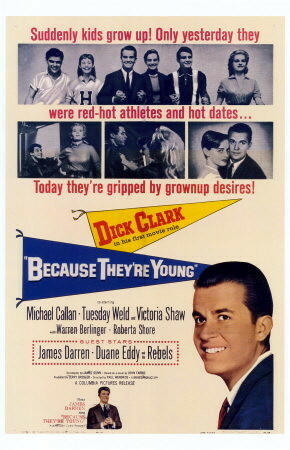 James Darren was another guest star in the movie and performed the vocal version. Darren's version was released on Colpix Records, but it did not chart.